The celebrations began in the Philippines, where baby Danica May Camacho was greeted with cheers and an explosion of photographers' flashbulbs at Manila's Jose Fabella Memorial Hospital. She arrived two minutes before midnight Sunday, but doctors say that was close enough to count for a Monday birthday. The United Nations Population Fund (unfpa.org) is leading an innovative global campaign to bring awareness to the opportunities and challenges that this milestone presents. But 7 Billion people means 7 Billion hearts. Music has always been the best way to speak to the hearts of the people. Playing for Change has partnered with the United Nations to present an original song around the world to serve as an anthem for such an important time "United". We traveled across the globe, put headphones on musicians, added them to the track, and created a video that can serve as a tangible example of something positive we can all do together as a human race. Lets inspire each other. Lets everybody get involved and join us on in this journey, so that together we leave this world better than we found it. For the vast majority of human history, the number of people on earth has been surprisingly small. In fact, early on in our roughly 100,000 year history, our species was perilously close to extinction; genetic studies suggest humans underwent a dramatic population bottleneck around 70,000 years ago, with global numbers falling to around 15,000 people. Subsequently the population of humans rebounded and grew, but at a relatively slow pace. Not until the invention of agriculture did humans pass the 1 million mark, and it was not until around 1800 A.D. that the total number of humans reached 1 billion; today, there are two countries, China and India, that have more than 1 billion citizens, and it projected that the 7th billion human will join us on October 31, 2011. How Did We Get To 7 Billion? So how did we go from a paltry 15,000 individuals to 7 billion? The early demographic history of humans did not see remarkable growth. Rather, it was characterized by a relatively gradual increase over time, albeit with a few setbacks, such as the Black Death which devastated the population of Europe in the 14th century. Overall, however, birth rates slightly outpaced death rates over the first 98 percent of our history, a trend that continued until the 19th century. Then things began to change. The trajectory of human population growth morphed frighteningly fast, from one of gradual increase to one of unprecedented, exponential growth. The fuse of human population explosion had been ignited. It had taken our species more than 100,000 years of persistence, luck and ingenuity, to reach the 1 billion mark. Then, in a blink of an eye, the population doubled to 2 billion in a mere 130 years. 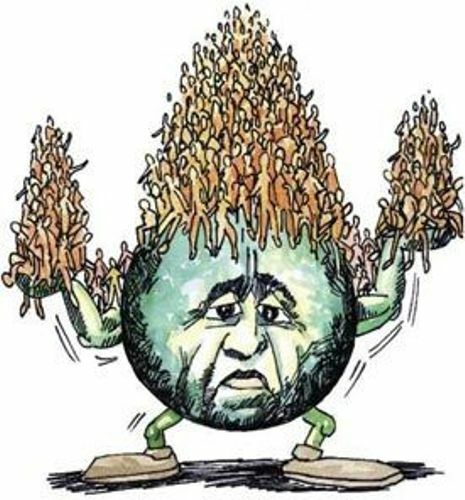 What was the root cause of this never before seen population explosion in humans? Most likely it was a combination of factors linked to the industrial revolution, such as advances in sanitation, healthcare, disease prevention and food availability, to name a few. Infant mortality dropped, and lifespans increased. As a result, more infants were living long enough to become adults and have children themselves, and people were being added to the planet at a much faster rate than ever before. However, as striking as the population growth of the 19th century was, it would pale in comparison to what was to come. The human population was about to truly explode. From 1930-1974, the world population added not 1, but 2 billion more people; that is, in just 44 years humans had doubled in number from 2 billion to 4 billion! 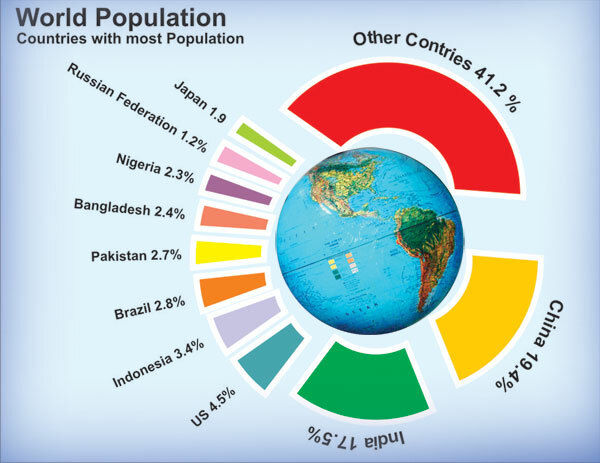 Since 1974, we have almost doubled the human population again, adding 1 billion people to the planet every 12-14 years! To provide some perspective, this is the equivalent of adding the entire population of the United States to the planet every 4 years (faster than most of us can make it through college) or the entire population of China every 15 years. It was only in 1999 that we welcomed our 6th billionth person to the planet—1 billion new fellow humans have joined us since then. It is worth pausing to consider that people who are now in their late 70s and early 80s have seen the population of planet earth increase from around 2 billion to 7 billion in just their lifetime. Lowering death rates, better healthcare, increased food production and major medical and technological breakthroughs all contributed to the meteoric population growth of humans in the 20th century, and they continue to do so today. The good news is the rate of human population increase has slowed; the bad news is that the overall population size continues to grow, it is just growing at a slower rate (we are still on the proverbial runaway train, but it's now moving a little slower). Predictions vary, but forecasts for 2050 are typically around 9 billion (give or take a billion or two). 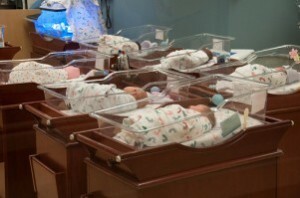 Birth rates are expected to continue to drop globally, and at some point in the 21st or 22nd century, the human population is predicted to stop growing, and perhaps even begin to shrink. In the interim, we face many serious challenges, and the choices we make will ultimately determine not just our fate, but that of the many other species with which we share the planet.